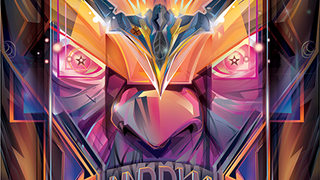 Guardians of the Galaxy 2 might be a long while away, but that didn't stop artist Orlando Arocena cooking up this gorgeous poster for the movie, featuring Thanos and the Milano looking all fabulous and whatnot. It's even James Gunn approved! You can see much more of Arocena's delightful art (and an amazing behind-the-scenes shot of the above poster, pre-colouring and covered in vector anchor points) over at his Behance page.